As Americans have the July 4; so the French have July 14—Bastille Day. On July 14, 1789, an annoyed groups of Parisians stormed the Bastille, a stronghold, and prison in France where the prisoners of influence are held in hopes of capturing ammunition. Soon thereafter, the King Louis XVI and his wife Marie-Antoinette took shelter in Versailles as the violent peasants pillaged and burned châteaux, and destroyed all the records of feudal dues. This reaction is known as the grande-peur which means great fear. For a peasant class, the Bastille stood as a symbol of the insincerity and corruption of the aristocratic government - controlled mostly by dignity and clergy. This significant event marked the entry of the popular class into the French Revolution. The French recognized Bastille Day at the end of the monarchy and the beginning of the modern republic. The eternal significance of this event was in its recognition as power could be held by ordinary citizens, not in the king or in God. This day is mostly celebrated by the Parisians, and July 14 is a national holiday with a grand military pageant up the Champs Elysées, colorful arts festivals, and with raucous parties marking the holiday. You will also see service men and women from various units, including cadets from military schools, the French Foreign Legion and the French Navy who participate in the parade. The parade ends with the Paris Fire Brigade. Military aircraft fly over the parade route during the parade. The parade will be opened by the French president and reviews the troops and thousands of people line the route. The audience will spend the day quietly and eat a celebratory meal or plan for a picnic with family and close friends. As Bastille Day is a public holiday in France, you will find post offices, banks, and many businesses closed. Some restaurants and cafes outside of tourist areas may also be closed. However, bakeries and some stores in Paris, as well as at airports and railway stations and major highways are open. If you look for public transport service then it schedules vary depending on where one lives and intends to travel. Roads in the centers of villages, towns, and cities particularly in Paris may be closed due to parades and for other large public events. The Bastille is a medieval fortress and prison in Paris. Many people in France are linked to it with the harsh rule of the Bourbon monarchy in the late 1700s. On July 14, 1789, troops stormed the Bastille; this was a crucial event at the beginning of the French Revolution. Fête de la Fédération is a massive holiday held on July 14, 1790. This was a way to celebrate the establishment of a constitutional monarchy in France. Official celebrations were held in Paris on June 30, 1878, to honor the Republic of France; but on July 14, 1879, more official celebrations were held as these included a military review in Longchamp near Paris and celebrations all over the country. An official named Benjamin Raspail projected that July 14 should become a holiday in France in 1880. The law was enacted on July 6, 1880. 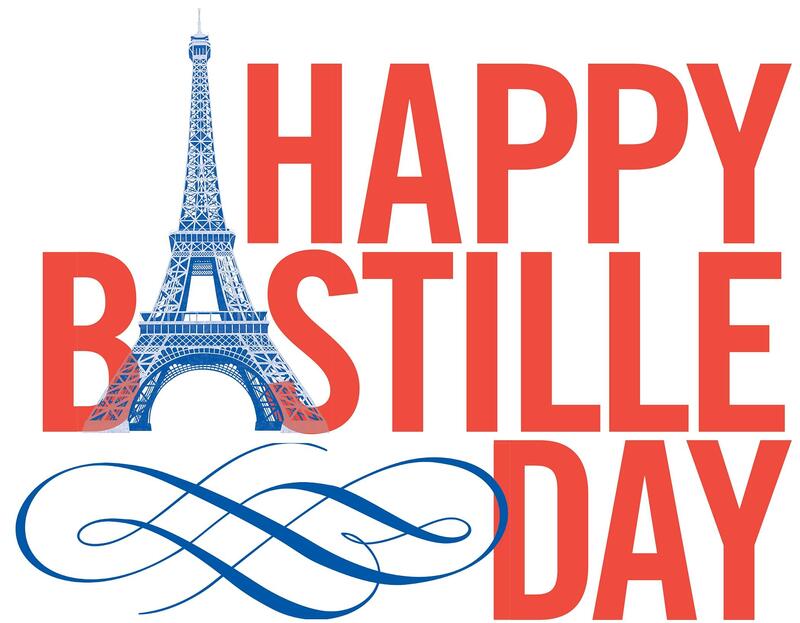 Bastille Day was a public holiday since July 14, 1880. 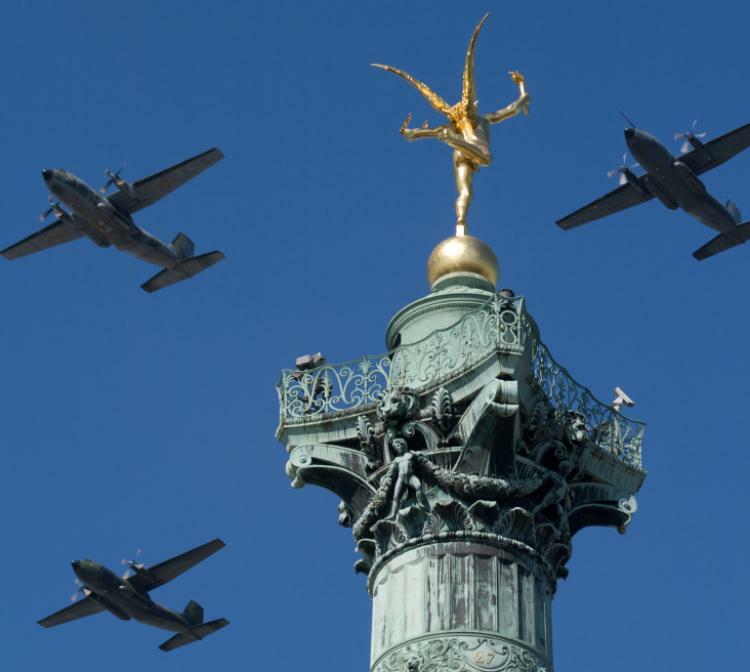 The military parade in Paris has been held every year since 1880, apart from World War II. The Free French Forces paraded on this date in London, England from 1940 until 1944. Jean Michel Jarre held a performance in Paris and attracted one million people, then the largest recorded crowd at an outdoor concert, in 1979. Special celebrations were held for the 200th anniversary of the French revolution in 1989. The French football team became world champions on July 12, 1998. This sparked celebrations throughout France on Bastille Day. Bastille Day celebrations are held in French communities and the Institute de France around the world. Such events in the United States are held in New York City, Milwaukee, Minneapolis, Philadelphia, San Francisco and Seattle. There are festivals of French culture in Franschhoek, South Africa, and Hungary.